Luxuriously upholstered in plush cotton velvet, Julianne is an oversized ottoman that makes a statement. Available in Blush Pink, Petrol and Concrete. 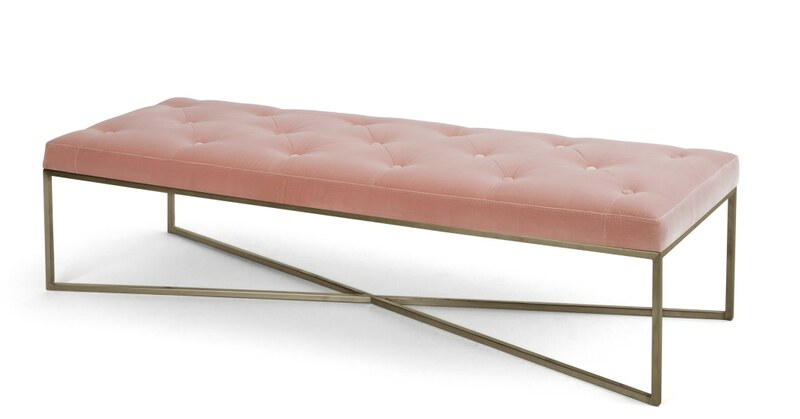 It fuses the best bits of mid-century design like sleek clean lines, with a traditional buttoned seat creating decadent footrest or place to perch. Julianne is finished with antique brass metal legs, bringing an edgy glamour and modern touch to the classic buttoned seat design.